Georgia Chess Club (GCC) is the premier provider of private and group chess lessons in the Atlanta Metro area. GCC also hosts regular United States Chess Federation (USCF) chess tournaments offering a chance to increase your rating and compete against other chess players. The GCC is a proud partner of many area schools where they help facilitate after school chess enrichment programs. If you love chess as much as we do you have to check us out. In today's world of high-tech video games such as Angry Birds, Call of Duty, Final Fantasy XV, Pokémon Go and a seemingly infinite number others played on electronic devices from smartphones, digital tablets, computers to smart televisions and even wristwatches, chess remains virtually unchanged since its origins nearly 1,500 years ago. 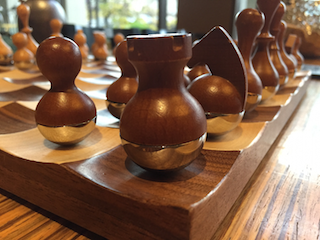 Of course, chess can be played on any of the aforementioned electronic devices with an unknown opponent in a land thousands of miles away or against the computer itself, but no electronic version will ever supplant the feel of a real world chess board and the 32 tangible pieces. The game of chess, while fairly simple in terms of rules and moves when compared to the complexity of many onine games, require skill, patience, planning, and imagination that continue to challenge even the most experienced player. 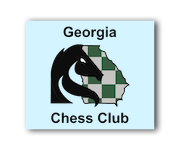 Sign-up below to receive exclusive invites to upcoming tournaments and other events by the Georgia Chess Club. Better yet, click on My Account | Memberships on the website menu and join the Georgia Chess Club. We know you don't like junk email and neither do we. We will only send timely and valuable information about club news and upcoming events. Your privacy is very important to us. We will never share your email address with anyone, ever.